GunsBet is an online Bitcoin Casino, operating under Curacao license. They offer over 1000 games to choose from, including Bitcoin games. When playing on online casinos there is always the fear of being cheated. And this is understandable because, from a technical point of view, it is very easy for an online casino to make you lose. That is why a mechanism has been created to ensure that the game is proved to be fair for the players. This mechanism is an algorithm which can be analysed and verified for fairness on the part of the service operator. So basically, in provably fair online games, when the player places bets these are provided by the service operator, which in turn has to publish a method for verifying any transaction in the games. This is done as we already mentioned by using open source algorithms for random seeding and hashing. It is well known, that the fact that an online casino uses cryptocurrencies gives it the credibility needed to prove its security and provably fair gaming. This is because the technology behind cryptocurrencies is encrypted and leaves no room for any human interference or manipulation. 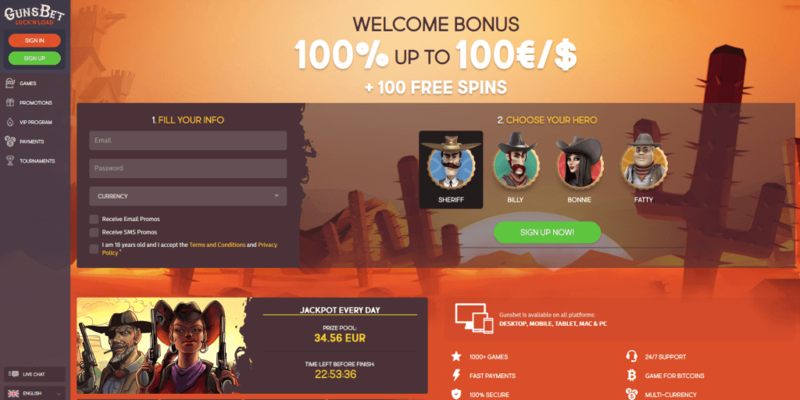 GunsBet wants to make sure that every new player feels at home so as a welcoming bonus they offer 100% for up to €100, plus 100 free spins, and every Friday they also have a special 55% for up to €50. In addition they have also made sure to show how much they value their VIP clients as well, that is why with every bet you make on the casino you automatically move to a higher level of status that offers you benefits, while accumulating points which can be exchanged for money. Another thing that makes GunsBet an attractive choice is the fact that they organise Tournaments, where you can participate automatically from the moment you start to play in the casino slot games. 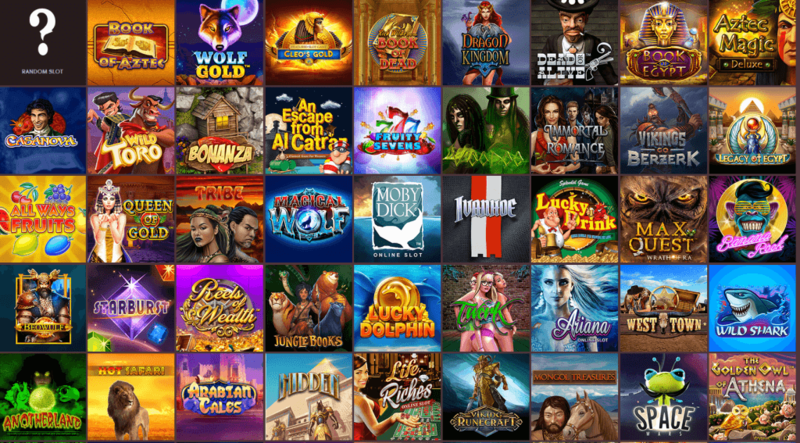 A prize pool of €500 and 2500 free spins is shared between the 77 best players. Online Gambling should be an activity that gives you amusement and pleasure, but of course there are people that cannot control their impulses. So as any serious and self-respecting professional online crypto casino, GunsBet strongly supports responsible gambling. They promote that by giving various ways of implementing limits to your gambling activity, such as setting up personal limits and opting for self-exclusion. At GunsBet you have the option to use various types of payment methods such as the use of credit or debit cards, e-wallets and you can also pay by cryptocurrencies. This makes it easier for you to deposit and to withdraw your money, fast and without any frustration. If you’re looking for a probably fair Bitcoin casino with lots of game choice and cool tournaments, then GunsBet is a great choice for you!